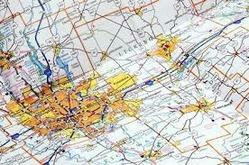 Pioneers in the industry, we offer gis & mis planning from India. We are a coveted firm involved in providing a broad spectrum of GIS & MIS Planning for which we have associates and nationwide team of geotechnical engineers with a wealth of accumulated experience that enables us to formulate high-quality design solutions. Our team facilitates the interfaces and experience with which we are able to provide our intention as a provider to enable the sharing of information, sharing services, making use of common data and technologies, and provide customers with a choice in channels of communication and the systems that they want to use. The service is designed to help you effectively manage the ground risks which you may face as needed to manage organizations efficiently and effectively. Our disciplined research empowers the team with the knowledge to make intelligent decisions, and our best practices ensure your execution is creative, cost effective, and efficient. MIS offer solutions to these problems by making extensive use of information and communication technology, innovative transport technology, traffic information and traffic management. Looking for “GIS & MIS Planning”?